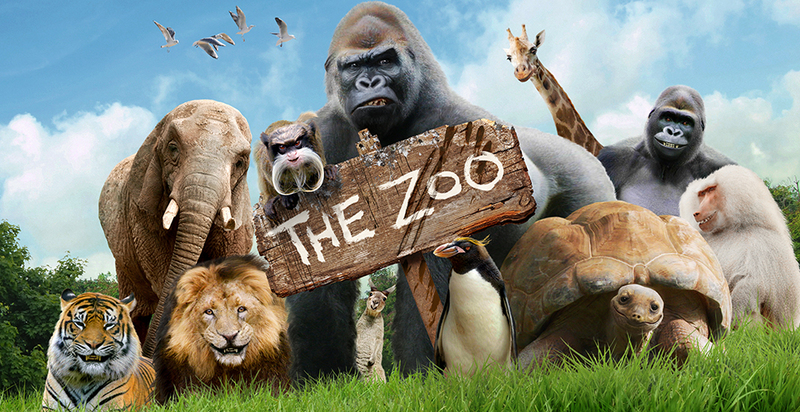 Produced by the award-winning team from the BBC’s Natural History Unit (Planet Earth, Walking With Dinosaurs) and shot in a mockumentary doc style, The Zoo follows the everyday action of the animals as they make friends, forge allegiances and attempt to manipulate each other. Using state of the art CGI and facial tracking technology, the zoo characters will tell us exactly what’s happening in their own hilarious words with photo real moving mouths Our animal guides, will give viewers a unique insight into the behind the scenes workings of the zoo. Along the way, we’ll also meet the genuine zookeepers and get their version of events. Only the audience and the narrator will be privy to both sides. Each episode will start out as a seemingly normal day at the zoo and will quickly snowball into chaos as our international cast of animal characters tell us what’s really happening. Whether it’s working out who’s the most popular stuffed toy in the gift shop, helping the kangaroo rediscover its hop, or instigating a coup against the keepers….nothing is impossible in this topsy-turvy place we call The Zoo.